Benefortin 20mg Tablets are used to treat dogs with congestive heart failure. 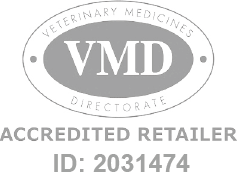 Benefortin Tablets - 20mg is a Prescription Only Veterinary Medicine and by law requires a prescription from your vet. Benefortin 20mg Tablets are used to treat dogs with congestive heart failure. The flavoured tablets are rapidly absorbed into the blood stream to significantly extend the life span of dogs. Benefortin Tablets are manufactured by Boehringer Ingelheim Limited and developed specifically for dogs. As such, they must never be used in other animals.